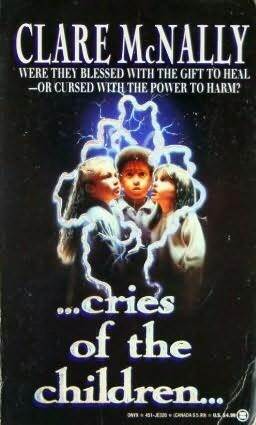 Just as soon as all three children begin to grow accustomed to their new surroundings, they begin communicating telepathically with a mysterious entity named Marty. They also begin to realize that they are being hunted down by an organization willing to stop at nothing until all three children are captured. Leaving the comfort of their new homes and families behind, the children use their telepathy powers to make plans to meet. After they physically connect, the children use their combined powers to locate Marty in an effort to help him escape from captivity, and to also battle the evil man who is hunting them all down. Meanwhile, the foster parents (all of whom are totally freaking out) are devastated when they find their new children missing, and embark on their own cross-country journeys to bring their children home. When all parents and children finally reconvene, they learn more about their special bonds and powers, and about what they can do to stay safe and out of harm's way forever. I'm a real sucker for "vintage" horror novels like Cries of the Children. Yes, there are many great horror novelists and books out there today, but some lack the spooky and haunting noir factor that authors such as McNally seem to possess. Although - this particular novel does read more like a thriller and suspense novel than a horror novel. Yes, there are a few moments that are more or less terrifying, but most of the book is comprised of cat-and-mouse chase scenes - whether it's the children escaping and running way or the foster parents chasing after them. Also, I may be wrong, but I don't recall there being an explanation for how or why a social worker character dies near the beginning. McNally provides us with clues that hint toward an intricate trap rigged with cyanide, but I don't recall cyanide or any other conclusion being mentioned in regards to that particular character's death scene. I was so bummed. While Cries of the Children is certainly suspenseful enough, the ending just isn't dazzling, and doesn't quite have the spirit or zeal the author was obviously trying to achieve. Actually, I feel that the ending is a weak attempt at concluding an otherwise adventurous novel. The novel's denouement just doesn't jibe much with the rest of the novel. However, my less-than-stellar experience with Cries of the Children isn't going to stop me from reading more of Clare McNally's backlist! I've got Addison House on deck and ready to go. Clare McNally published her last novel, Blood Relations, in 1997. Her other recent novels include Goodnight, Sweet Angel, Stage Fright, and The Evil That Christy Knows. Have you read Cries of the Children, and if so, what did you think? Have you read any of Clare McNally's novels? Share your thoughts with us in the comments section below.